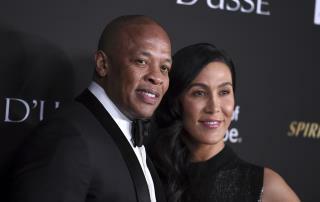 (Newser) – Dr. Dre is a proud man—his daughter, Truly Young, got into the University of Southern California, and unlike some other celebrity parents, he didn't have to pay somebody to bribe coaches or facilitate cheating on exams. But the hip-hop legend may have gone too far with what Mashable calls a "strange brag" in a now-deleted Instagram post. "My daughter got accepted into USC all on her own. No jail time!!!" he wrote. Critics were quick to point out that Dre, born Andre Young, and fellow Beats Electronics founder Jimmy Iovine donated $70 million to the school in 2013 to create the USC Jimmy Iovine and Andre Young Academy for Arts, Technology and the Business of Innovation, People reports. How can you be that hypocritical and still show your face in public again? No one has any shame anymore. No wonder he deleted it. But too late. His underwear was showing. He should have dinner with Barbara Streisand.